Every day we march closer to what will undoubtedly be a historic paradigm shift in surf. Opinions run the gamut, but like it or not surfing will make its Olympic debut during the 2020 Tokyo Games. For nations like the United States, China, Russia, and others with a seat at the proverbial table where the geopolitical chess match of world politics is being played, success at the Olympics (no matter the sport) is a notch in the belt for countries seeking global preeminence. Or trying to hold onto it. That’s the context that surrounds a shift in coaching staff at USA Surfing this month that quite easily could’ve flown under the radar. According to the Santa Cruz Sentinel, USA Surfing began 2019 by naming Chris Gallagher Stone as the future U.S. Olympic surf team’s new head coach. He replaced Joey Buran, a former Pipeline Masters champ who resigned in December to spend more time with his family and pastor at an Orange County, California church. 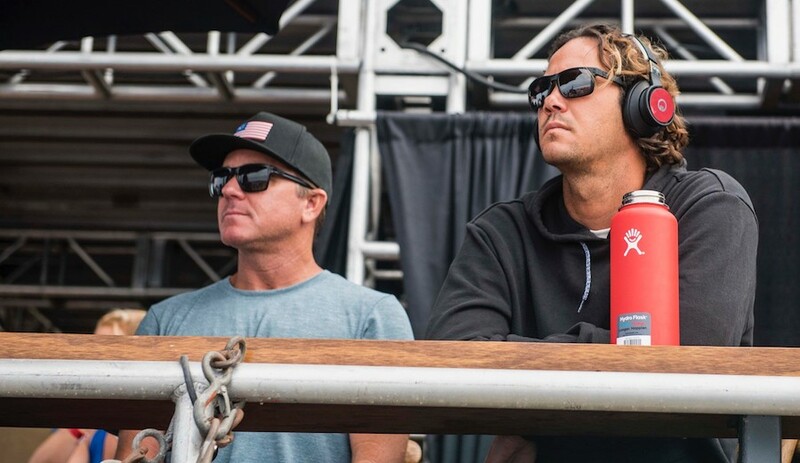 Gallagher Stone is highly credentialed, having trained the likes of Jordy Smith and C.J. and Damien Hobgood. The ability to work with surfing’s most talented athletes was particularly attractive to USA Surfing who reportedly is receiving pressure from the U.S. Olympic Committee to bring home hardware. “They want medals, and preferably gold,” USA Surfing CEO Greg Cruse told the Sentinel. On the women’s side, that seems doable – Lakey Peterson finished the year ranked second and Carissa Moore finished third. On the men’s side, though, there’s cause for concern. Conner Coffin and Kolohe Andino, the top Americans this year due to John John Florence’s protracted injury recovery, finished the year ranked seventh and 11th respectively. “The USOC is concerned about that,” said Cruse. In order to push American surfers to the next level, the USOC is willing to pull out all the stops, making some of the most elite athletic training resources available to would-be Olympians. The Sentinel reports Gallagher Stone is due to meet with the nation’s top surfers in February, where he’ll dive headfirst into his new role.